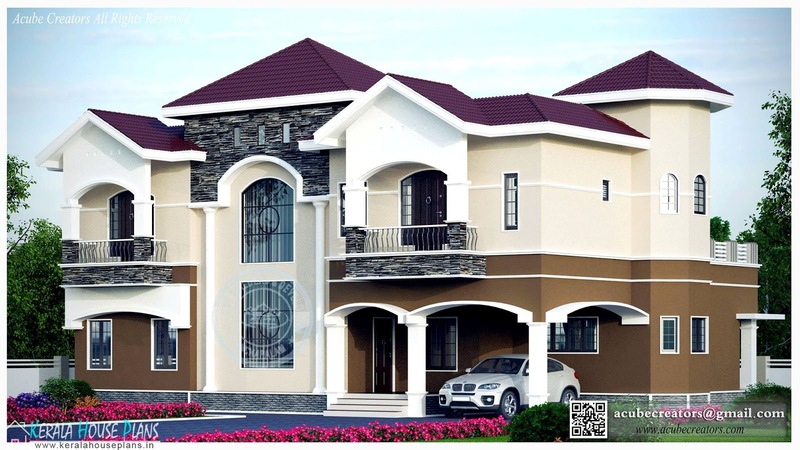 Home / 4 bedroom home plan / Mixed Roof House Plan / Modern House Plan / Over 3000 Sqft (Over 275 Sq. M.) / Thrissur / Modern Style Kerala Home Design 3518 sq.ft. Modern Style Kerala Home Design 3518 sq.ft. Modern Style Kerala Home Design with car porch, sit out,living, dining,family living, 4 bed room attached toilets,kitchen, work area and varandah.